Hockey University (HU) is an online certification component for officials across the country. HU allows us to provide quality learning with a standard delivery message in servicing our officials. Over the past several years there have been many requests to provide an online education tool for coach & officials training. 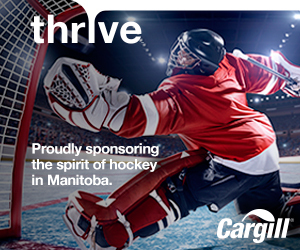 Hockey Canada and Hockey Manitoba are pleased to now offer this flexibility and convenience to our members. Online education will benefit our officials in a number of ways– bringing hockey education into the 20th Century! Hockey Manitoba’s goal, with the implementation of HU, is to provide quality learning with a consistent delivery and message to service our 1800+ member officials. ALL Level I and II officials are required to complete the four (4) hour online component prior to registering and attending a five (5) hour in-person clinic including a one hour ice session. The Hockey University online clinic for officials is titled “HU – Officiating 1/2″ and will be accessible through the official’s existing eHockey accounts. The program, which consists of 12 modules, has been designed for the officials to complete at their convenience and may be revisited at anytime during the hockey season. Hockey University 1/2 must be completed before registration will be accepted for an in-person clinic. Click here to see the requirements for Level V & VI! We’re proud to offer the lowest HU Officiating fees in Canada! To request a clinic location/date transfer, please contact cbergstresser@hockeymanitoba.ca. All transfers will require a $25.00 surcharge payable by credit card only at time of transfer. Transfers must be done 2 days prior to the start of the clinic and will depend on space availability. Clinics and information are available now through eHockey!